On Saturday, September 17 I stopped being Miss Fasshonaburu and became Mrs. Fasshonaburu! 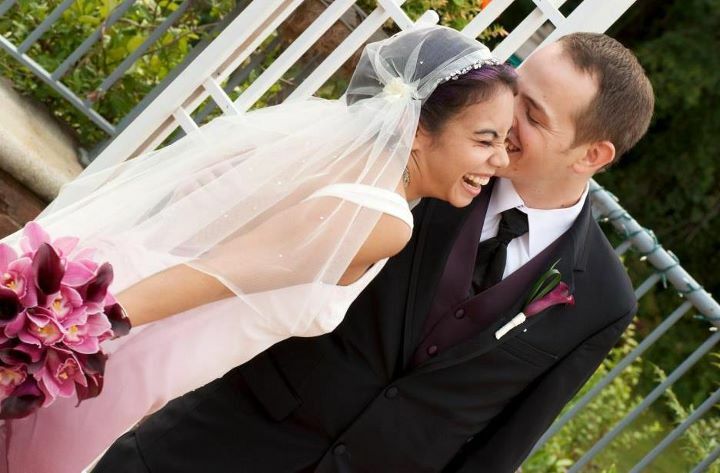 The absolute happiest day of my life, I married the guy I've loved for almost seven years now! In case you missed the live stream and have sad face, I have some highlights and fabu pics for all of you! We came in to the "Princess Bride" theme song, awwwww. I wore a dress of my own design, and had a local seamstress known for wedding dresses make it - I'll be sure to write up that experience soon! My veil is a '20s cap style that my mom made for me, and the necklace is Nicole Miller. Dear friends and family, I welcome you all to this ceremony. The young and the old the tall and the short. We are gathered here today to witness and celebrate the union of Vyque and Curtis in marriage. In the years they have been together, their love and understanding of each other has grown and matured, and now they have decided to live their lives together as husband and wife. Of course, the vows were a big thing! I failed to memorize mine, so I hid them in my bouquet, hee hee hee. I was definitely choked up, but managed to get through them! I love you. I've loved you for almost seven years now and, every second, more. I thought years ago I loved you more than any woman has ever loved a man, but as time passed, I knew that what I felt before was nothing compared to what I felt then and would continue to grow. I love you so much more now than last night, it's like comparing a sapling to an ancient red oak. I love you so much more than this morning, it would be like comparing a puddle to the depths of the pacific. I love you so much more than when I started talking, it's like a glowing ember compared to a super nova. You manage to achieve the impossible by making my infinite love for you grow every day, every minute, every second. I promise to always love you, always cherish you, and spend the rest of my life trying to make you as happy as you've made me. Once we were together, I was overcome with the excitement of being able to learn everything there was to know about you. Happy happy happy memories writing this! We walked back down the aisle as husband and wife to Pat Benetar's We Belong. If you are anti duck face I suggest you avert your eyes! 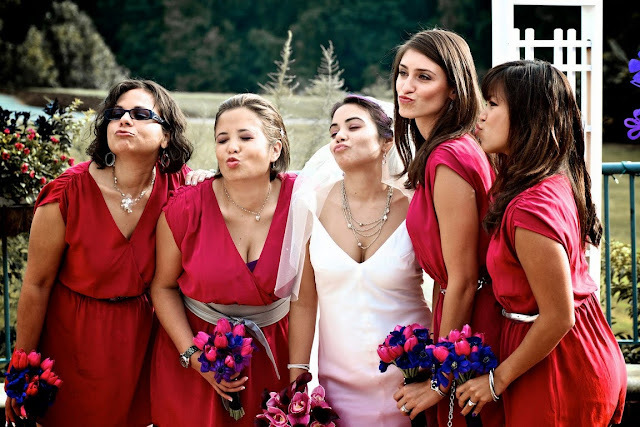 My bridal party wore tiny silk dresses from Urban Oufitters. 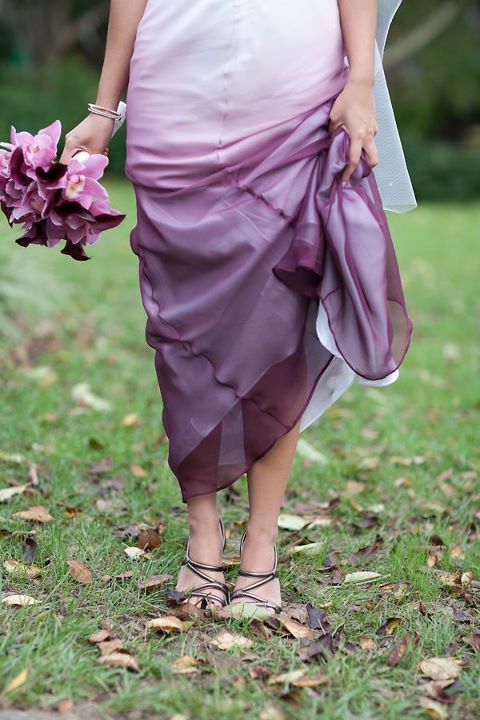 They were super short and very scandalous... especially on my 5'10 bridesmaid! But they were super pretty and less than $100! 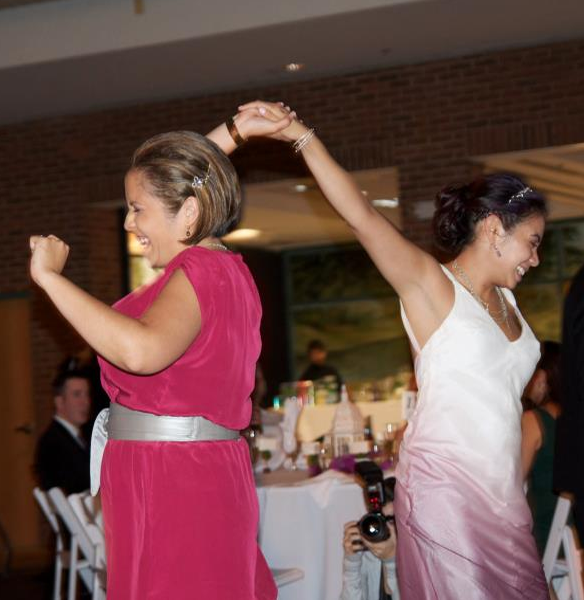 Our first dance was to the Sundays cover of "Wild Horses," dinner was a bit of a blur, and then it was time to get down! Overall it was the most amazing day of my life. 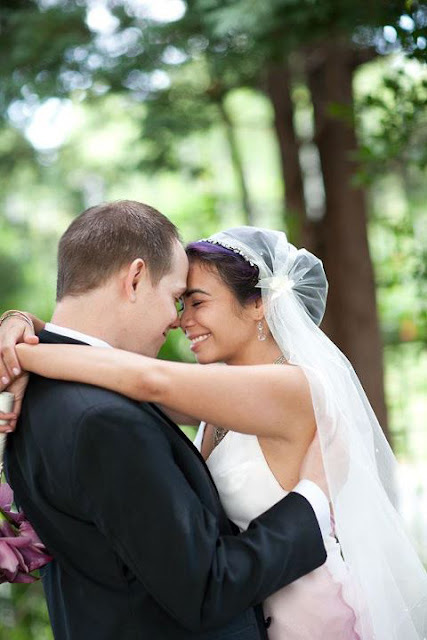 I married my best friend, someone who truly gets me and once told me, "You've never tried to change me." Well, duh, why mess with perfection?!?!? Thank you to everyone who helped and celebrated with us, including our families, my maid of honor and awesome sister, Alex, Brian our officiate, and fashion fillies Amy of Midtown Girl and Wendy Brandes! LOVE how the dress turned out, you looked radiant! What a beautiful day, and what a beautiful couple! SO nice dress and looking so pretty is to beautiful. congratulations. You both look amazing and the dresses too. God bless you. Love that dress! I love that you designed it yourself. I don't know you, but you look so happy. Many blessings to you both.